Personal Injury Protection (PIP) coverage is an extension of car insurance that covers medical expenses and, in many cases, lost wages. PIP is "no-fault" coverage, as it applies and pays out claims regardless of who is at fault. If you have PIP insurance and are hurt in accident, you can receive maximum benefits whether or not the accident was your fault. On top of medical bills and lost wages, PIP insurance can also cover expenses like transportation to medical appointments. Washington state law does not require that policy holders obtain PIP insurance coverage. But insurance providers are required by law to offer PIP insurance coverage to their customers. Policy holders can opt out of PIP insurance coverage in writing. If the insurance provider does not obtain a written rejection authorization from the policy holder, then they must add the coverage to the insurance policy. Some policies allow you to stack the PIP insurance coverage ($10,000 + $10,000) while others will only extend secondary coverage in an amount greater than the primary amount. For example, if the primary coverage is $10,000 and the secondary is $25,000, the most the secondary policy will allow is $15,000. You should always request a copy of PIP insurance to know how much is your coverage. 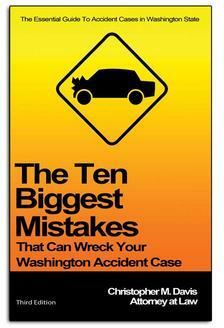 It is also advisable to contact your insurance provider right after the accident if possible. 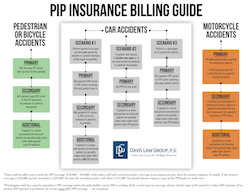 The following is a PIP insurance billing guide that you can refer to when involved in an accident. There are several rules that govern under what circumstances a car insurance company can deny or limit a PIP insurance medical claim. First, in every case prior to denying a claim for PIP insurance benefits, the insurance carrier must provide the claimant with a written explanation of coverage under the policy, and include a notice that the carrier may deny, limit or terminate benefits in certain situations. Second, the PIP insurance carrier may only deny, limit or terminate PIP benefits if the treatment is considered either (1) not reasonable, (2) not necessary, (3) not related to the accident, or (4) not incurred within 3 years after the accident. These are the only reasons which will justify a denial of the claim. Only one of these four reasons need be present to justify a denial. Third, the PIP insurance carrier’s decision to deny, limit, or terminate the claimant’s PIP benefits must be based on the review and opinion of a medical or healthcare professional, i.e., a physician. Specifically, a "medical or health care professional" cannot include an insurance company's claim representatives, adjusters, or managers or any health care professional in the direct employ of the insurer. Thus, an adjustor cannot deny a PIP claim on his or her own, and without the support of a medical opinion. Fourth, the medical or healthcare professional relied on by the carrier must be currently licensed, certified, or registered to practice in the same health field or specialty as the health care professional that treated the insured. care professional that treated the insured. Fifth, if the claimant is being treated by more than one health care professional, the review shall be completed by a professional licensed, shall certified, or registered to practice in the same health field or specialty as the principal prescribing or diagnosing provider, unless otherwise agreed to by the insured and the insurer. This does not prohibit the insurer from providing additional reviews of other categories of professionals. Finally, the insurance company’s explanation for the denial of PIP insurance benefits must be clear enough so that the claimant does not need to resort to additional research to understand the reason for the action. A simple statement, for example, that the services are "not reasonable or necessary" is not sufficient. by Davis Law Group, P.S. 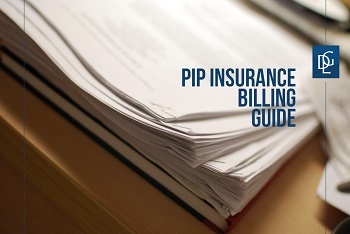 Get more information on the PIP billing process by downloading our free report. Click below to download.